Before long, though, we wanted to do more to spotlight the most beautiful and difficult of literary arts. So we launched Zócalo’s first annual poetry prize. It was–and is–intended to complement the Zócalo Book Prize, which honors the author whose nonfiction work most effectively deepens our understanding of community–of how people connect to people. The Zócalo Poetry Prize awards $1,000 to the U.S. poet whose original poem best explores people’s connection to place. We received entries from over 700 poets from all across the country. Their poems explore where we come from, what it means to love, or leave, a place, and how a particular geography can define us. corn on the cob. Itch of mosquito bite. 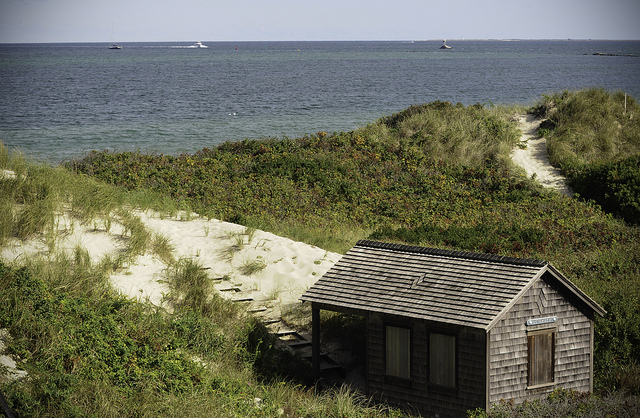 of shingles on Saltboxes and Capes on the Cape. with paper seat covers in every stall on the Pike. to dry. The mingling here of the we and my I. We spoke to Zorgdrager about the poem and the poet behind it. Q. What inspired you to write “Coming Back, It Comes Back”? A. I’m originally from New England. I grew up here. And then I moved various places, and most recently spent 12 years in the Pacific Northwest. Until I returned to Massachusetts, though, I didn’t realize all of the things I’d missed. And so I wrote the poem upon returning. Q. When do you feel a poem works? When does the fear subside? A. I’m not sure the fear ever subsides. In fact, when I won the prize, I thought, “Oh no!” because I thought I might have revised it since. So I’m not sure a poem is ever finished. But, ultimately, apart from a little polishing here and there, I did feel that this poem was finished. A. In any legal way I can. I’m not one of the people who teach. I found out early on that I can’t be the kind of teacher I want to be and the kind of writer I want to be at the same time. So I’ve done everything from being an addiction coach–helping people quit smoking–to doing temp work. Recently, I’ve been the executive director of Friends of Worcester’s Senior Center. It’s tough to support my art and pay my bills. A. I will walk out my poem five or six times in my head, which you can do with a poem because it’s shorter than a novel, and I will get the poem going in my head. Then, late at night for two or three hours I will commit it to the page. There’s something about the rhythm of walking, and again that’s where place enters into it. Q. Where do you go to get satisfying connection to people or place? A. I go to the library, and not so much for the people as for the books. And I know it sounds strange to say that the library is my community, but as a writer that is what I get a lot of my identity from and what shapes me. So in a sense the bookshelves of the library are my community. But with this poem, a surprise came at the end, when I got to the line, “The mingling here of the we and my I.” To me, that’s what community is. It’s that place where you know you’re part of that “We,” and that “We” is part of you.